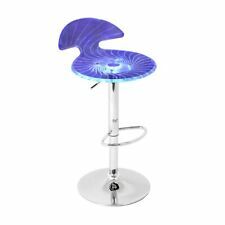 Light up the night with the Spyra Bar Stool! The Spyra features a clear PC seat with visible etching when both on and off. Once the multi-colored LEDs hidden in the bar stool, are turned on and start to phase between red, blue and green, the seat glows for a fantastic look! Finish/Color: Silver. Cancelling your Order. Are you a designer or builder with a large project?. Want to buy for less?. Our goal is to provide you with a huge selection and the freedom to choose from only top quality products, without overwhelming you with poor value options. The simple elegance of the Fuji belies its astonishing comfort. Lightweight stainless steel legs and backrest support a thick padded leatherette cushion. A stackable design for easy storage makes this a great chair for entertaining. Sit pretty with the sleek design of the Weller Barstool. 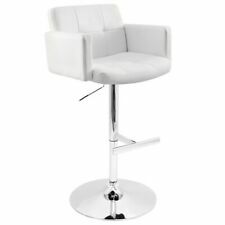 Featuring an adjustable height and swivel function you can pull this great barstool up to any bar or counter area. Available in two great colors, the Weller Barstool will look great with a variety of decor styles. The Stout Bar Stool was designed with comfort in mind. The padded seat, high back and armrests make this the ultimate stool for relaxation. Get comfy and look great doing it! Seat adjusts from counter to bar height. Finish/Color: Walnut, Clear. Walnut Seat with acrylic outer covering. Kids' Play (539). A padlock icon should also appear at the top of your browser. This indicates that you are protected within our 128-bit SSL secure server, where all data is encrypted for optimal security. A slightly scooped seat is fitted with a comfortable leatherette cushion. 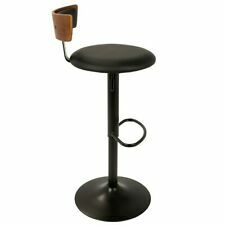 Adjustable height and a crescent shaped footrest combine nicely with either color set making this barstool a must have. Finish/Color: Walnut, Brown. The walnut wood backrest of the LumiSource Cosini Barstool hugs the body with graceful, curved lines. Finish/Color: Walnut, Grey. So why buy from us?. And our friendly and knowledgeable phone staff is available 24-7! Bring the perfect dose of industrial decor to your space with the LumiSource Austin Dining Chair. Constructed with durable steel, this urban design has sleek back rest and slanted legs. The Austin dining chair is available in two gorgeous finishes, antique and grey. The wide welcoming seat of the LumiSource Fabrizzi Barstool beckons for one to sit and unwind for a while. A scooped, contoured seat and curved back add to its modern yet chic design. Finish/Color: Walnut, Grey. Finish/Color: Grey. So why buy from us?. And our friendly and knowledgeable phone staff is available 24-7! A padlock icon should also appear at the top of your browser. This indicates that you are protected within our 128-bit SSL secure server, where all data is encrypted for optimal security. Add a touch of contemporary style to your dining area with the LumiSource Oregon Dining Chair. Kitchen & Dining (1376). Finish/Color: Brushed Silver. Great for use in kitchen or dining. Kids' Play (539). Seat adjusts from counter to bar height. Baby & Kids' Furniture (2810). A classic look redefined. The Master Bar Stool is the perfect marriage of modern style and comfort. Great addition to your rec room or office conference areas. Versatile and stylish with an industrial feel, the LumiSource Oregon High Back Counter Stools will take your space from drab to fab! Build to last, the Oregon Bar Stools are strong, yet lightweight, constructed from steel and wood. Kitchen & Dining (1376). Great for use as a dining or accent chair. Great for use in kitchen, dining room, living room or break room. So why buy from us?. And our friendly and knowledgeable phone staff is available 24-7! Seat adjusts from counter to bar height. Baby & Kids' Furniture (2810). Finish/Color: White. Are you a designer or builder with a large project?. Want to buy for less?. So why buy from us?. And our friendly and knowledgeable phone staff is available 24-7! Enter a new era of bar stool design with the Venti Bar Stool. The clear acrylic seat of the Venti Bar Stool gives it a sleek and contemporary look. Kids' Play (539). Great for use in kitchen, bar, or break room. 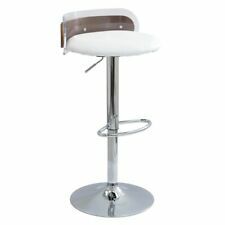 A gentle wave in the upholstered leatherette seat of the Ale Bar Stool creates a welcoming allure. With the Ale Bar Stool you get simple yet sophisticated style at a great value! Finish/Color: Grey. Pair it with the Oregon Dining Table to complete this industrial look. Kitchen & Dining (1376). Made of Steel / Bamboo. Great for use in kitchen or dining. Pair with the Oregon Table for a complete look! Seat adjusts from counter to bar height. Baby & Kids' Furniture (2810). Finish/Color: White. So why buy from us?. And our friendly and knowledgeable phone staff is available 24-7! Are you a designer or builder with a large project?. Pair it with the Oregon Dining Table to complete this industrial look. Finish/Color: Antique, Espresso. Kitchen & Dining (1376). Great for use in kitchen or dining. Pair with the Oregon Table for a complete look! Pair it with the Oregon Dining Table to complete this industrial look. Finish/Color: White, Espresso. Kitchen & Dining (1376). Baby & Kids' Furniture (2810). Kids' Play (539). PRICED AND SOLD IN PAIRS / NEW COLOR TO EXISTING MODEL, Indoor use only, 250 lbs weight limit. Finish/Color: Antique, Espresso. Espresso wood seat. A padlock icon should also appear at the top of your browser. This indicates that you are protected within our 128-bit SSL secure server, where all data is encrypted for optimal security. 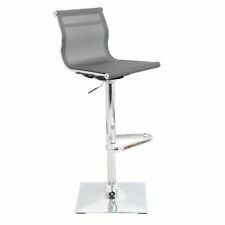 Versatile and stylish with an industrial feel, the LumiSource Oregon Bar Stools will take your space from drab to fab! Build to last, the Oregon Bar Stools are strong, yet lightweight, constructed from steel and wood. A classic look redefined. The Master Bar Stool is the perfect marriage of modern style and comfort. Great addition to your rec room or office conference areas. A padlock icon should also appear at the top of your browser. The Valencia barstool will add a touch of elegance and luxury to any group gathering, whether relaxing or recharging. The leather upholstery, available in cream or black, is easy to clean with a quick wipe. 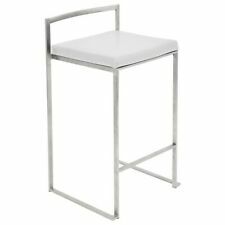 The Cosi Bar Stool is the definition of sophistication. A hydraulic lift lets you adjust the seat height for ease and convenience. Finish/Color: Walnut, Brown. So why buy from us?. And our friendly and knowledgeable phone staff is available 24-7! With slim walnut legs and a truly unique shape designed for maximum comfort, this chair is the perfect fit for any setting. Finish/Color: Walnut, Espresso. Upholstered in stylish fabric. Mid-Century Modern Style. A perfect mix of style and comfort, the Vasari Barstool has an elegant bent-wood back-rest, which ensures total comfort and support. Cushioned backrest and seat upholstered in Fabric. Finish/Color: Walnut Wood, Grey Fabric Seat. A padded leatherette cushion provides abundant plush support to the slotted bent wood design. Finish/Color: Wenge, White. Seat adjusts from counter to bar height. Baby & Kids' Furniture (2810). Mid-Century Modern Style. A padded leatherette cushion provides abundant plush support to the slotted bent wood design. Finish/Color: Walnut, Black. Seat adjusts from counter to bar height. Baby & Kids' Furniture (2810). Mid-Century Modern Style. The unique cut-out design that forms the back of the LumiSource Gardena chair adds visual flair to the design of this great chair. The tree-like look of the curved back is accented with padded upholstery, providing added comfort while bent wood legs give ample stability. So comfortable it will make any occasion a jubilee. Seat adjusts from counter to bar height. Baby & Kids' Furniture (2810). Finish/Color: White. So why buy from us?. And our friendly and knowledgeable phone staff is available 24-7! Form and function unite with easy-to-clean PU leather seating and a convenient footrest resulting in a stylish updated look. Finish/Color: Walnut, Grey. So why buy from us?. And our friendly and knowledgeable phone staff is available 24-7!